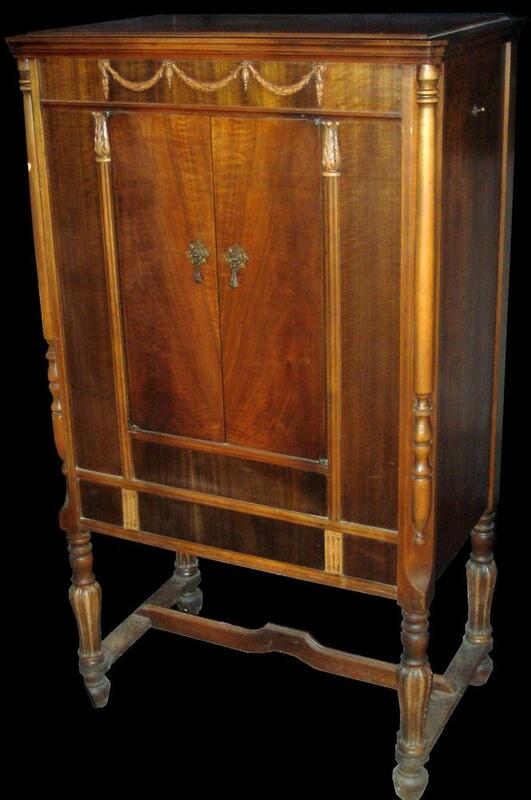 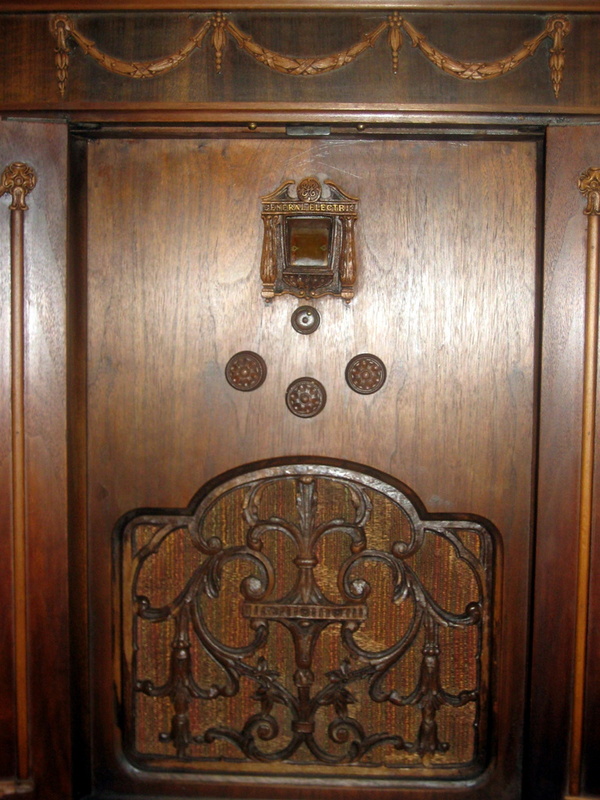 A kind of Radiola 80 in a prom dress, this model has been described frequently as a "highboy" despite that term being more correctly applied to sets with their speakers located above the knobs. Opening the doors reveals more lattice and fretwork, including a wild repwood dial escutcheon. 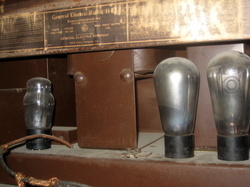 As one would expect of a set such as this, which likely served as a family's primary radio for many years, most of the original tubes have been replaced. Remarkably it retains its original UX-245 'balloon' output triodes--which even more remarkably still test like new!